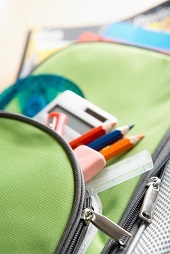 As your son or daughter prepares for a new school year, you review the list of items needed. List in hand, you and your child head to the store to buy the back-to-school supplies, aware that the cost can add up quickly. 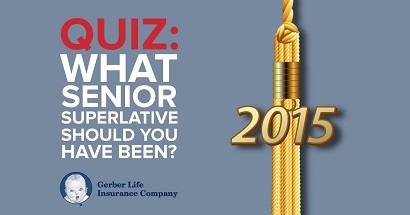 Quiz: Which ‘Senior Superlative’ Should You have been Named in 12th Grade? Toward the end of the senior year of high school, classmates traditionally vote on which members of their class are worthy of being the most likely to succeed, or are the most athletic, or the funniest, or another superlative. More frequently than not, only a limited number of students end up being recognized superlatively – for better or worse. As your child prepares to leave home for his or her first year away at college, you may be enlisted to help pack since your child may be unsure of the specifics of what to take. Before you begin packing, however, you may want your child to coordinate with his or her future roommate so that they avoid having duplicates of large items that could be shared, such as a television set, microwave oven, or small refrigerator. Now you can get down to packing the essentials. To help you and your child avoid overlooking anything, you may find it helpful to refer to this dorm packing list, to which you can add or delete any items to match your needs. It’s hard to keep information about ourselves off of the Internet. Social media and other factors have increased the likelihood that personal photos and information will appear online, even if we don’t want them to. Parents face the double challenge of managing both their own and their children’s online privacy. The task starts before the children can even log onto a computer. Although they may be too young to share their information and photos on social media, their parents may want to share photos with family and friends. 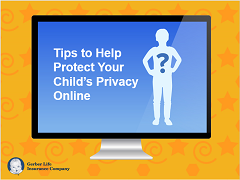 Therefore, it’s important for parents to take precautionary measures concerning their children’s online privacy. Buying life insurance means facing a lot of choices. Your family’s financial future may ride on your decision. How to make the right decision for you, your budget and your family? You’ll have to calculate how much insurance you need; research insurance companies and the different kinds of insurance policies available; decide on an insurance company and insurance policy that best meet your needs, and then cross-check your research to be sure you’re getting the best value for your money without undermining your core needs.